Today I spent a few hours working on the left wing. 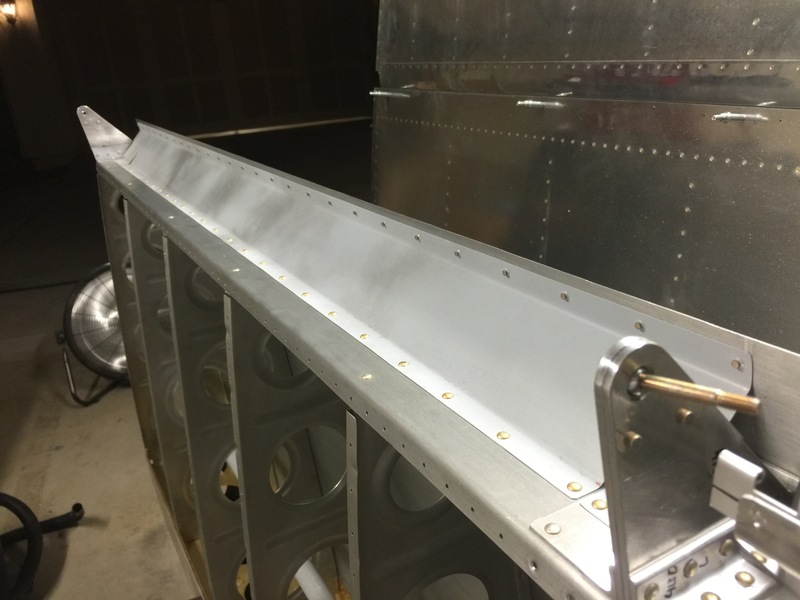 I started out by removing the flap and aileron, so I could get access to the aileron brackets. Because I didn’t rivet the brackets, I was able to perform the bracket service bulletin. 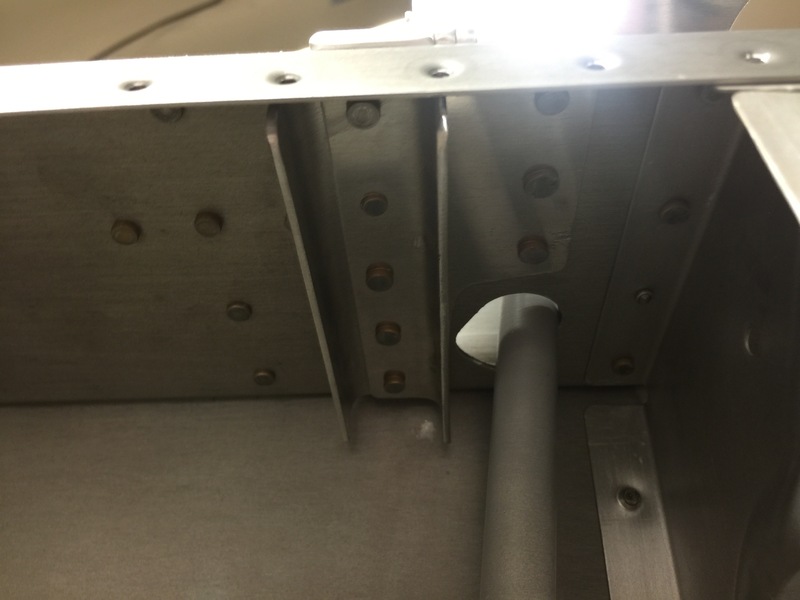 It involved riveted two doubler plates to the backside of the spar behind the aileron bracket. Here you can see the row of rivets holding those doublers in place. I then proceeded to install the aileron gap faring. Of course I edge finished, deburred, and primed the surface prior to riveting. 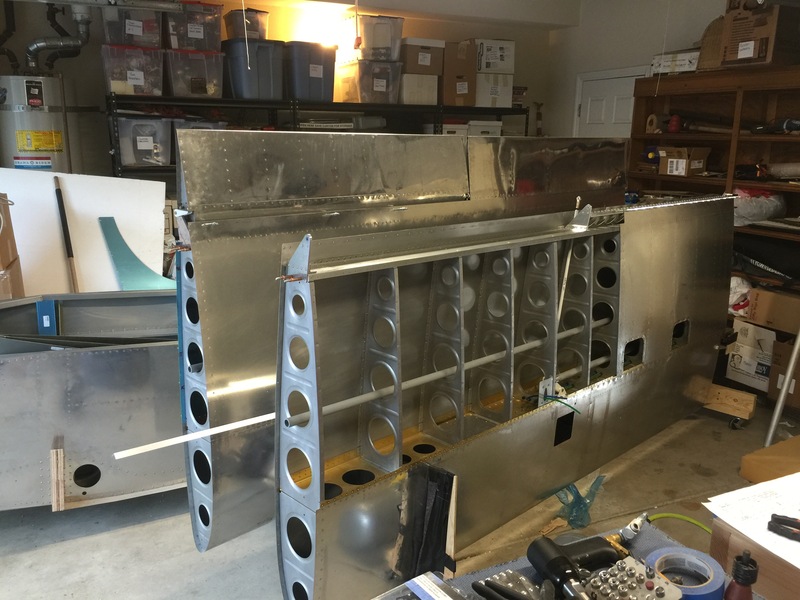 Once that was installed I spent some time installing he aileron and determining the correct washer count and making sure I can get access to everything. 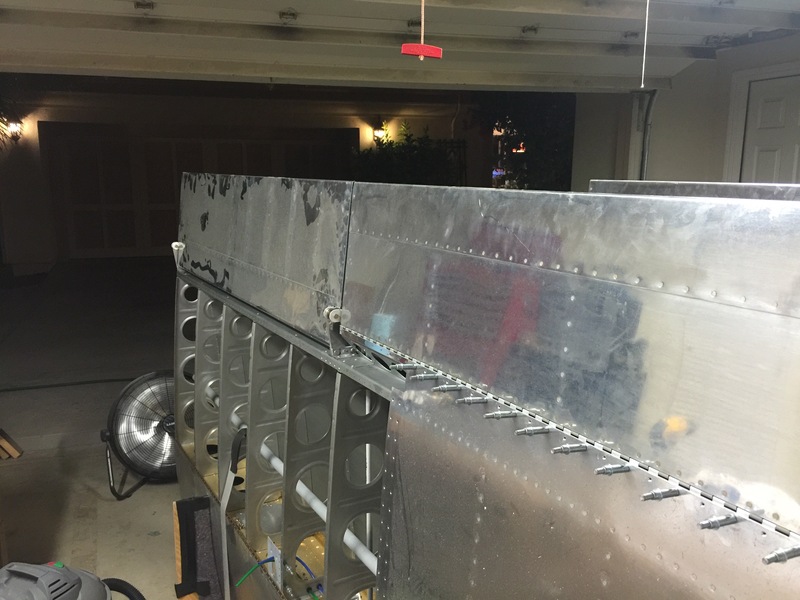 I then installed the aileron with the alignment bracket on the bellcrank to align the flap and check the gap between the two.